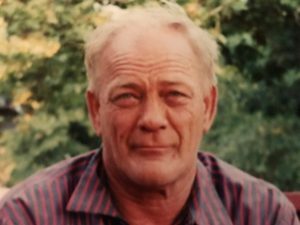 Sedan – John Edward Williams Sr., age 72, of Sedan, Kansas, passed away, Thursday, November 29, 2018 at St. Francis Hospital in Wichita, Kansas. John was born on April 11, 1946 in Pawhuska, Oklahoma to Archie G. Williams and Gladys Marie (Moon) Williams. He grew up and attended grade school in Boulanger and then attended Bowring High School where he graduated in the Class of 1964. After high school he attended and graduated from Tulsa Automotive School. In November 1965 he enlisted in the United States Army and was stationed for over 2 years Near Munich, Germany where he served in the 661st Transportation Company. He served his last 4 months in New Cumberland Army Depot in New Cumberland, Pennsylvania. On September 19, 1970, he married Verna L. Windsor in Sedan, Kansas. They have lived in Sedan their whole life. John worked several jobs as a mechanic throughout years. For the last 25 years John was a self-employed mechanic. John was a member of the Chautauqua Baptist Church in Chautauqua, Kansas. He also enjoyed fishing, hunting, horses, raising cattle and spending time with family. John is survived by his loving wife of 48 years, Verna Williams of the home in Sedan, Kansas; two sons, John “John Jon” Edward Williams Jr. and wife Holly of Dewey, Oklahoma, Chancey DeWayne Williams and wife Christina of Sapulpa, Oklahoma; one brother-in-law, Danny Joe Windsor of Sedan, Kansas; two sisters, Retha Moore of Pea Ridge, Arkansas, Julia Windsor of Casper, Wyoming; one brother, Jimmy Williams of Oklahoma City, Oklahoma; four grandchildren, Ty Allen Williams, Autumn Lynette Williams, Colby Allen Williams, Chassidy “Booney” Anne Williams; one great-grandchild, Kassidy “KK” Williams and lots of nieces and nephews. He is preceded in death by four brothers, Archie Williams, Elmer “Bud” Williams, Raymond Williams, Roy Williams; three sisters, Roselee Cummings, Janett Lacy, Mary McDaniel; and parents. Friends and family may call on Saturday, December 8 at 1:00 p.m. until service time for book signing at First Baptist Church with family being present at that time. Cremation has taken place and a Memorial Service will be held on Saturday, December 8, 2018 at 3:00 p.m. at the First Baptist Church in Sedan with Hospice Chaplain Keith Springer and Pastor Steve Zimmerman officiating. The United States Army will perform military rights at the church. Inurnment will be held at a later date. The family has suggested memorials to Harry Hynes Memorial Hospice and may be left in care of the Dickens Family Funeral Home, 209 N. Douglas, Sedan, Kansas 67361. So sorry. Love and prayers to you all. John was a good man will be missed by everyone. May he rest in God's loving arms. Be at peace. i will always remember is wonderful smile is seemed to light is whole face and it showed his soul and the kindness he showed everyone he touched. he will truely be missed. love and care uncle Jonny i loved you. So sorry to hear of your loss . John was a good man. Our thoughts and prayers are with all of you at this sad time.